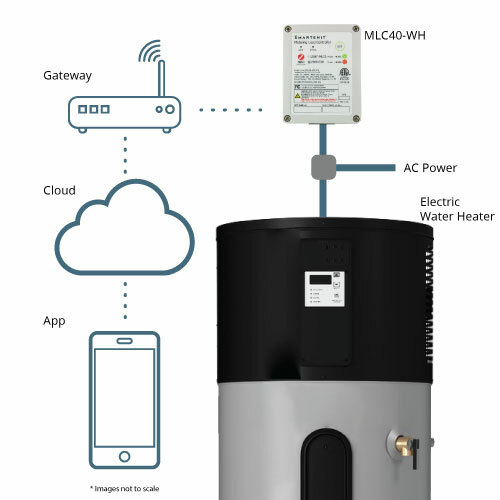 Connect a standard electric water heater to the IoT and enjoy the benefits of lower operating costs, increased tank longevity and participation in utility incentive programs. All without sacrificing comfort. 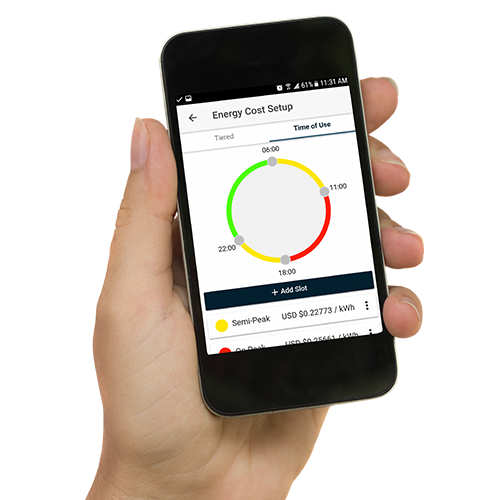 This solution allows a homeowner, utility, or service provider to remotely control the heating element and to monitor the water tank energy use, temperature (tank wall or outlet pipe), unwanted liquid leaks, and to determine the health of the tank from those measurements. 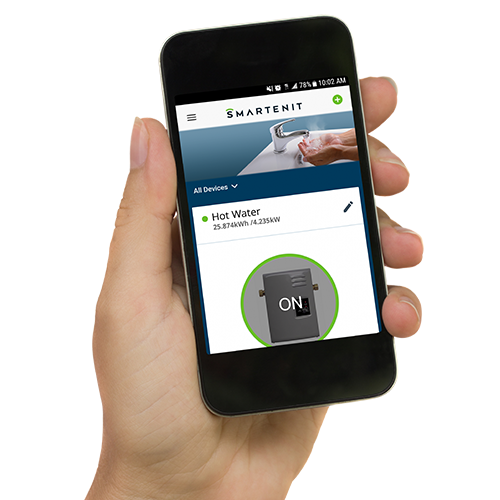 Connect a standard electric water heater to the IoT and enjoy the benefits of lower operating costs, increased tank longevity and participation on utility incentive programs. All without sacrificing comfort. or directly to a cloud service via WiFi or Cellular. The gateway in turn, connects to the IoT via Ethernet, WiFi or cellular. 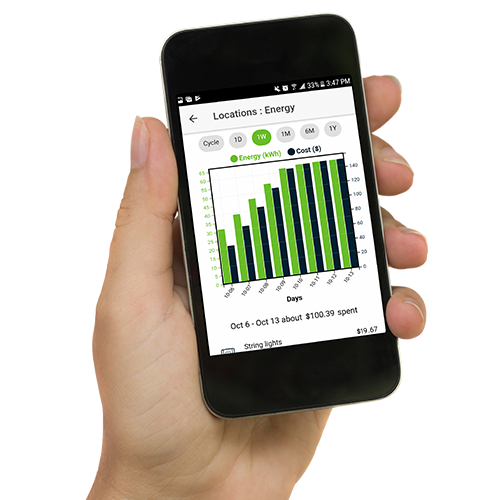 Several versions of the load controller are available depending on need and can be tailored to specific location conditions. The load controller directly turns the heating element on or off in response to commands from the gateway. It also (optionally) monitors the temperature of the tank and/or the outlet pipe. Another option that the load controller can accommodate is a liquid presence sensor, that when placed at the bottom of the tank, alerts in case of water leaks. 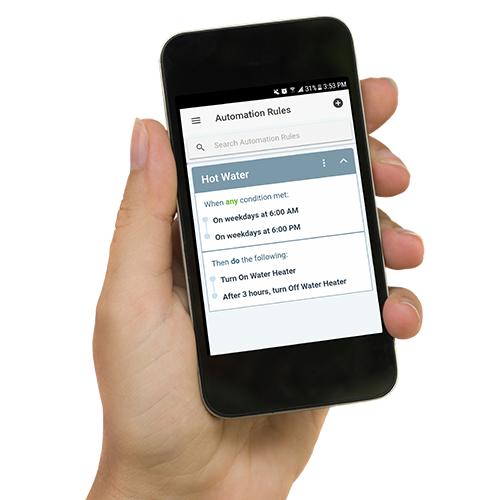 Based on all measurements, the control software, readily accessible through an app, can infer the health of the tank and alarm when maintenance is required. If you would like to evaluate this as an out of the box solution, we have a reference kit that includes our 4040C load controller, Harmony G2 gateway, and Smartenit App ready to go. Please contact us for more details.